As our official history book waits proudly on our resort shop shelves, we’ve spent some time taking a look at what it meant and felt like to be a part of the archive team that have brought our history to life. 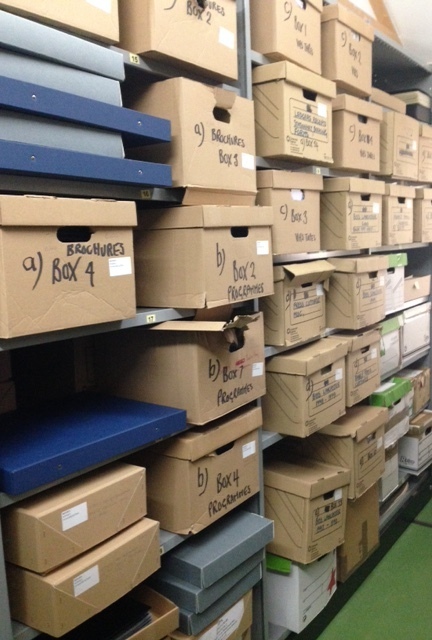 From the dusty depth of an office filing cabinet to the spotlights at the History of Advertising Trust, our archive has grown extensively in 25 years, and boy are we proud! 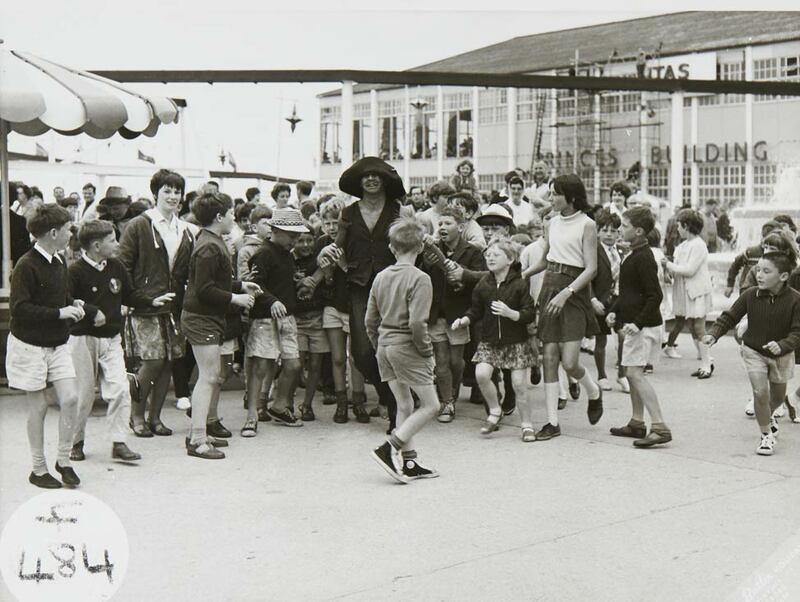 Not only does our ongoing archive work allow us to discover hundreds of the amazing items and memories from our past, but more so, it means we can use this knowledge to evolve the Butlin’s future. Let’s start from the beginning Roger, what was your first role at the company? Needless to say I finished up nearly drowning in the outdoor pool with war wounds all over my body. From Captain Blood to the man in charge of our archive; how did you get involved in the project? I’ve always been interested in the history of the great British seaside holiday and after Shirley left, I had approval from the board to start the Butlin’s archive over… as long as it didn’t interfere with my business development activities. Over the last 25 years I have collected and saved all memorabilia related to the company. This information provides a rich history for students, public relations and practitioners alike and I firmly believe the more you learn about the past the better prepared you are for the future. There can be only one standard bearer and for the great British seaside holiday it has to be a Butlin’s holiday. We couldn’t agree more! There’s over 38,000 items in the collection; what’s your favourite? Every piece is special. There are over 6,000 black and white photographs where the images spring to life through fashion of the day. Brochures and programmes now in the 1000s containing priceless information on tariffs, entertainment listings and maps of the individual resorts. There are so many stories behind every item in the archive and it’s in our interest to protect and capture these golden moments. 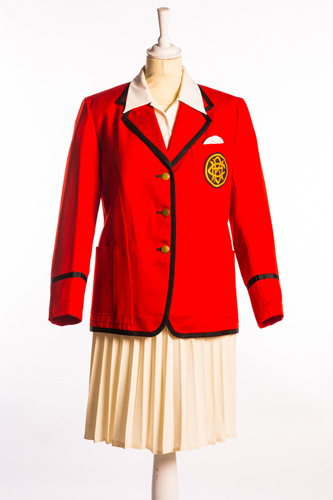 But if I had to choose just one I reckon I’d go for the original 1930s Redcoat blazer. This special blazer has been displayed in the Imperial War Museum and the V&A museum. It’s priceless. As we all know, Sir Billy Butlin was an inventor, an “I’ve got an idea!” kind of man, and Roger worked closely with him on many occasions. 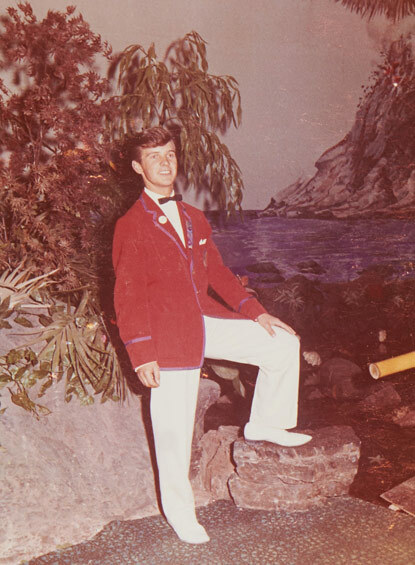 From being somewhat forced to sail a yacht, to learning to water ski, Roger has many fond memories of fulfilling some of Billy’s action plans. Lots has changed over the past 80 years; when thinking about the innovations Billy introduced to the resort, which springs to mind for you? Sir Billy was a showman to the very end and in that time his hands-on approach was reflected in colour; be it lighting, flower gardens, choice of building colours, murals around the walls of venues, visual artefacts around the bars, new rides in the funfair, and around the resort with monorails, chairlifts and trains. 80 years of history means we have some remarkable stories. Could you tell us a little known fact about Butlin’s that would surprise us? When Billy was six his parents split up, aged seven he lost his younger brother to polio, bullies picked on him at school, during the Great War he was almost blown up in the trenches serving in the Canadian army, and yet he bounced back and went onto build a massive holiday empire. He received the Humanitarian Award from the Variety Club for his charity works; his name is on the role of honour with Winston Churchill and many more famous names. Let’s talk more about you; what was life as a Redcoat really like? I was working as an apprentice wallpaper designer when I saw the Butlin’s ad. I didn’t like my job so I thought I’d have a go. At the audition the interviewer frightened the socks off me “a redcoat is a friend a philosopher and guide” he said. And there I was thinking I’d be having fun! Of course I did, but it was really hard work as a Redcoat; we were there to help guests, have a drink with them, dance with them and make them feel welcome. I still walk through my village in Felpham greeting everyone, once a redcoat always a redcoat! You’ve spent a lot of time at each of our 3 resorts; are there any hidden gems? At Skegness it’s absolutely got to be the grade II listed chalet. If Billy was alive today he would make it an automata, ask you to put a coin in the slot for charity and the curtains would open to reveal a family being woken up by Radio Butlin! Minehead was being built on the Dunster Marshes and they were having problems with the heavy duty bulldozers and other vehicles sinking into the mud. Billy ordered every Head of Department to take turns in keeping a watch overnight for any problems. Sadly one of the Heads fell asleep on duty and a bulldozer was found half under the mud. Billy was informed and immediately requested to know the cost of digging the vehicle out or letting it sink under the mud… Somewhere on the resort under the ground is one bulldozer. If Billy Butlin was alive today, what would he think of Butlin’s in 2016? In Billy’s vocabulary there was no such word as ‘can’t’. If Billy was alive today he would be delighted with the courage of our imaginers looking at our past to evolve our future. Last year we gave our very first nod to our past by proudly reclaiming the 1930s chalet. The new style chalet village at Minehead has all the mod-cons a 21st century family would need, but with the design inspiration taken from Billy’s original chalet. On top of that, in 2017 we’re transforming some of our accommodation into brand new fairground-inspired apartments. I’m sure you don’t need me to tell you but Billy started out in life running a hoopla stall at a travelling fair, so of course, the traditional seaside fairground has always held a special place in our hearts and it still plays an important role in the Butlin’s experience of today. 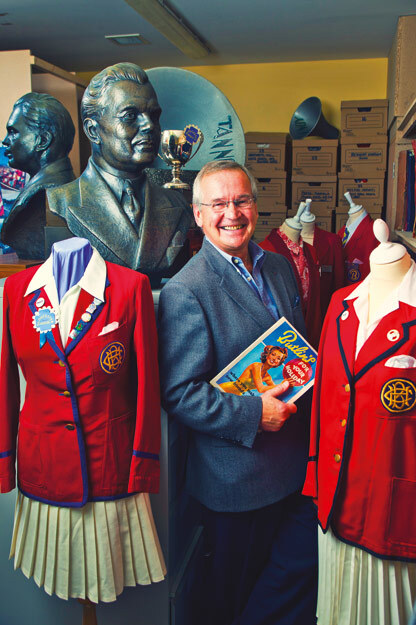 At the end of 2016, Roger Billington will be handing his responsibilities over and we can’t quite believe the incredible work he’s done for Butlin’s and our archives; he’s been a truly integral part of our history. 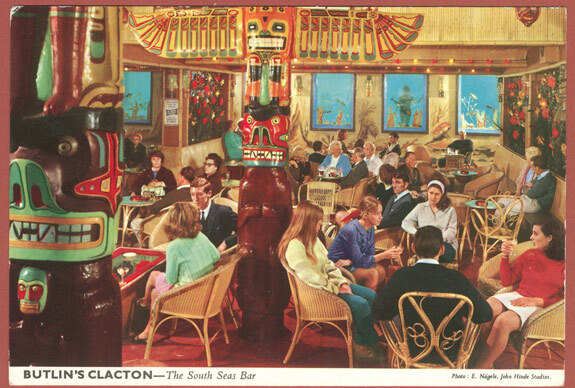 Read more about our heritage in our official history book, ‘The Nation’s Host: Butlin’s and the story of the British seaside‘. It’s available to purchase from Butlin’s the Store at our three resorts and online at store.butlins.com.